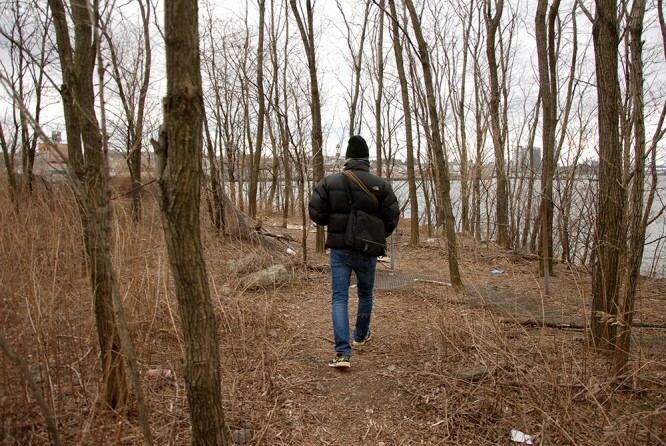 Through this (mostly) unguided tour, explore one of New York’s last accidental waterfront wild spaces before it is swallowed by the voracious development practices that have transformed Queens’s East River edge and the waterfront of the greater city. Through intimate and unmediated immersion into this unique postindustrial site, the tour will draw upon all of your senses in exploration of thoroughly contradictory conditions and contexts. At the fulcrum of land and water, nature and city, abandonment and reclamation, history and possibility; this experience will incite a similarly contradictory range of emotions. The tour will culminate with an open discussion led by urbanist, critic and professor, Daniel Campo (author of The Accidental Playground). This tour is limited to 20 people, please RSVP via this link to sign up! Participants should wear clothing and footwear appropriate for exploration of an abandoned, overgrown site with many potential hazards. Daniel Campo is Associate Professor in the School of Architecture and Planning at Morgan State University in Baltimore. Campo’s writing and research explores informal, insurgent and do-it-yourself development practices and their intersection with professional urban planning, design and preservation. His book, The Accidental Playground: Brooklyn Waterfront Narratives of the Undesigned and Unplanned (Fordham University Press, 2013) was named by the New York Times as one of a ten book “urban canon” of suggested reading for the New York City Mayor Bill de Blasio. Campo has also published articles on a range of urban topics, including public space studies, downtown and waterfront revitalization, historic preservation, history of the built environment, shrinking cities, and urban arts and culture. His current research examines sub-professional and grassroots efforts to preserve, reuse and enjoy iconic but decaying industrial complexes across the North American Rustbelt. Prior to entering academia, Campo was a planner for the New York City Department of City Planning. For a sneak peek, check out this photo essay and interview with Daniel Campo, by Nathan Kensinger for Curbed.